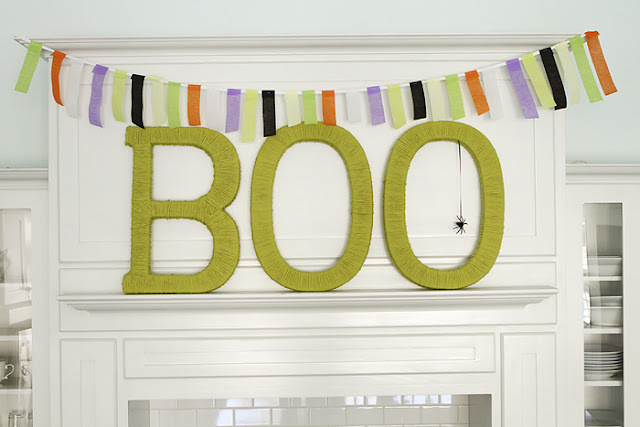 But what I really love (because I am always looking for a new great way to us crepe paper streamers) is the garland above the BOO. And luckily she has a tutorial for that too. 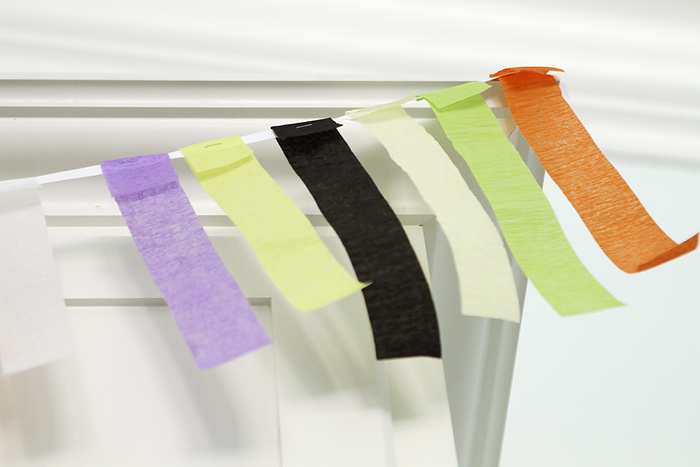 You can check them both out HERE and check out more fun uses for streamers HERE.